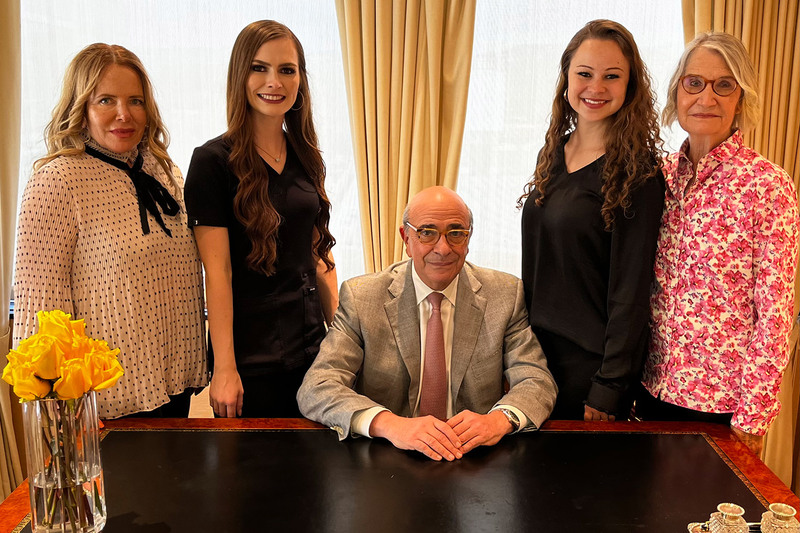 Dr. Cohen is board certified by both the American Board of Facial Plastic and Reconstructive Surgery and the American Board of Otolaryngology. Fraxel Laser treatments and chemical peeling can improve the look of your skin and your self-esteem. Skin resurfacing can also improve acne scars and remove pre-cancerous skin growths called keratoses. Reconstructive surgery is performed on abnormal structures of the body caused by congenital defects, developmental abnormalities, trauma, infection, tumors or disease. Reconstructive surgery is generally covered by most health insurance policies, although coverage for specific procedures and levels of coverage may vary greatly. Dr. Cohen is board certified by both the American Board of Facial Plastic and Reconstructive Surgery and the American Board of Otolaryngology. He is also a member of the American Academy of Facial Plastic and Reconstructive Surgery, American College of Surgeons and is a Fellow in the American College of Surgeons. He has been an Assistant Clinical Professor at UCLA. Dr. Cohen received a teaching award at UCLA and has had numerous publications in the field of facial plastic and head and neck surgery. 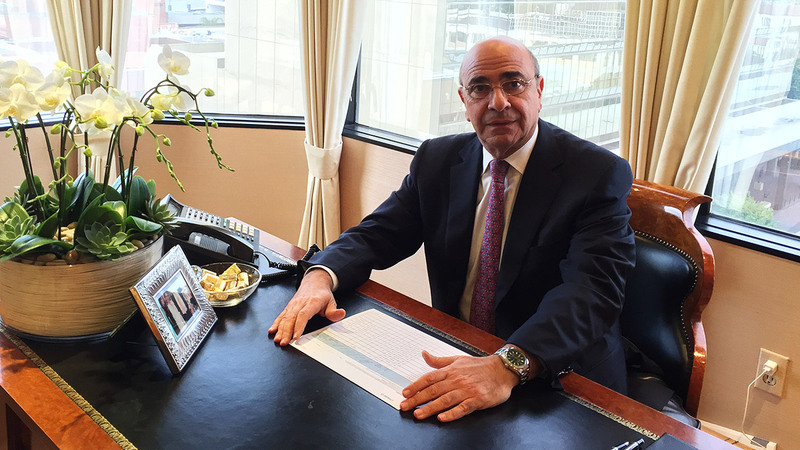 Dr. Cohen has been practicing facial plastic surgery for more than 30 years, in Beverly Hills, and continues to provide his patients with the highest level of surgical expertise available. It has long been his philosophy to provide the finest care, the safest surgical skill and the most up to date knowledge of the field to his patients. From the time you make an appointment with the office, you are treated as an individual whose personal needs and desires are addressed in a caring and professional way. It is Dr. Cohen’s goal to translate those needs into an appropriate procedure and then communicate his ability to assure your desired result. Dr. Cohen believes that the results should be natural, subtle and complementary to your existing structural framework. Through consultation, your vision, and Dr. Cohen’s, become intertwined into one - the final result being your anticipated outcome. It is his goal to achieve results that reflect your attitude and lifestyle. There are times, and conditions, in which Dr. Cohen may recommend that you avail yourself to professional attention during the immediate post-operative period. He may recommend an aftercare facility to you and information concerning those we recommend will be included with the information given you during your consultation. You will be able to rest and recover in the privacy of a retreat dedicated to providing you with a warm and supportive environment. They assure you will be cared for with total confidentiality. Often these facilities are staffed with employees selected not only for their knowledge and experience, but their genuine warmth of heart. The fees for most facilities include the professional attention as determined by Dr. Cohen, transportation to and from our office following your recovery room stay and for post-operative visits throughout your stay, automatically controlled beds, medication administration and reassurance that your care is given with constant vigilance. You will be given information on your options at the time of your consultation. Most retreats would be pleased to schedule an appointment for you to see their facility prior to making your reservation upon request. Dr. Cohen believes that the results should be natural, subtle and complementary to your existing structural framework. Through consultation, your vision, and Dr. Cohen’s, become intertwined into one - the final result being your anticipated outcome. It is his goal to achieve results that reflect your attitude and lifestyle. Below are some of the greatest compliments and feedback we ever received. Thank you!
" Incredible Staff and offices. Everything my friends said about Dr. Cohen was true. He treated me like I was his only patient and I have already referred him to many other people. Thank you so much to you and your staff "
" I was extremely nervous about finding the right doctor. As a woman in my late 40's, it was time for a little nip-tuck and my husband was in full support of my decision. Dr. Cohen was a true gentleman, and if I knew my elective surgery was going to be this painless I would have done it years ago. Just amazing results! " "Dr. Cohen has been my doctor for a while and I would not go anywhere else. Every couple of years I will go and see him to find out about the latest. His office and staff really is on the cusp of technology and I highly recommend the Fraxel laser treatments if are lucky enough to get in." If you’ve been curious about how rhytidectomy, or a facelift, as it is commonly called, could enhance your overall facial appearance, it’s helpful to understand more about the facelift procedure. The face lift I perform, a “vertical facelift”, does not just tighten the skin. It is a repositioning of the muscles, fascia and fat supporting the skin. This is achieved by a combination of a deep face lift technique and a SMAS platysmal repositioning. This repositioning, rejuvenates the tissue and allows a reversal of the effects of gravity…allowing the tightened skin to re-drape over the improved facial contour. The most important prerequisites for facial surgery are good health and realistic expectations. Knowing the limitations of a facelift is important and psychological stability is essential. There is no ideal in a facelift. The purpose is to improve the overall appearance of the face. Skin type, ethnic background, degree of skin elasticity, individual healing, and basic bone structure are factors that should be discussed with your surgeon prior to surgery. A facelift cannot stop aging, nor will it reverse the effects of time. Instead, it can help your face look its best and give you a healthier, more youthful appearance. By changing how you look, a facelift can help change how you feel about yourself. Before deciding on a facelift, it’s recommended that you discuss with your physician whether the results you’re looking for will be more attainable if additional changes are made in the chin and neck areas through other facial surgery. If several imperfections need correction, more than one procedure may be required to achieve the most successful result. Selecting a qualified facial plastic surgeon is of particular importance. During the initial consultation, Dr. Cohen will examine the structure of your face, skin texture, color, and elasticity. Photographs are necessary so the surgeon can study your face. Individual risks will be examined, specifically those related to medical situations such as high blood pressure, a tendency to scar, smoking, and any deficiency in blood clotting. Dr. Cohen will also ask for a complete medical history and will evaluate the patient’s mental and emotional attitude as it is crucial to the success of the surgery. After both you and Dr. Cohen make the decision regarding the facelift procedure, the surgeon will describe the technique indicated, the type of anesthesia, the surgical facility, any additional recommended surgery, and the pros and cons including possible complications. Most people experience little pain after surgery; however, the surgeon will still prescribe medication. A degree of swelling and bruising is not only unavoidable, it’s quite normal too. Your surgeon may suggest using cold compresses to minimize swelling. If a dressing has been used, it will be removed within a couple of days. It’s advisable to keep your head elevated when lying down, to avoid as much activity as possible, and to report any undue discomfort to your surgeon. Though there are few risks in facelift surgery, there is always a slight risk with any surgical procedure. With some procedures, a drainage tube may have been inserted during surgery. This will be removed on the first or second day after surgery. All sutures and clips are usually removed within five to ten days. You will be helped with arrangements for post-operative care and instructions on how your family, and/or friends, can be of the most optimum support to you and your needs. Recovery generally takes two to three weeks, though many patients are able to go back to work in two weeks. Scars are usually fairly inconspicuous after time has passed for them to mature. In any case, they are easily hidden by creases in the skin, the hair, or by makeup until the total healing process has completed. As we age, the effect of time takes its toll on our body. This is usually marked by deep creases on the forehead, frown lines and droopy eyelids. There’s no reason to project an impression of being sad and angry or tired when the matter can be addressed medically through a time-tested cosmetic surgery procedure known as the forehead lift. It’s hard to think of any facial expression that doesn’t involve the forehead. Whether you’re laughing, or crying, your forehead is constantly stretching, expanding and contracting. In order to lessen what might be termed as premature aging signs, a number of people choose to undertake the forehead lift to allow them to look as young as they feel. The result? When the brow is elevated, the tired, sad look may disappear completely, and often the entire face brightens up. After tightening the underlying tissue and altering any muscles that are causing problems, the incisions are then carefully closed. The forehead becomes smooth again, the eyebrows are raised and creases on face have been diminished. Good health and realistic expectations are prerequisites for all elective surgery. To know how a forehead lift can improve your face, place your hands above your brows and on the outside edges of your eyes and gently raise the skin upwards. Forehead lifts are an excellent option if you have a sagging brow or deep furrows between the eyes. The surgery is generally performed on patients who are between the ages of forty and sixty-five. However, some people may have inherited conditions, such as a low, heavy brow or furrowed lines above the nose and can achieve a more refreshed look with this procedure at a younger age. Although traditionally the forehead lift has been performed by placing the incision in the hairline, newer techniques such as endoscopic forehead surgery, now allow us to make smaller incisions in the scalp and hair bearing areas and elevate the muscle and tissue using an endoscope. Incisions can be placed in several different areas and your surgeon is more than happy to help you determine the best technique suited to your particular needs. Your choice of a qualified facial plastic surgeon is of extreme importance no matter if you are having surgery for functional reasons or cosmetic ones. At the time of your consultation, the surgeon will analyze your facial structure, the condition of your skin, and your hairline in order to decide the best place for the incisions to be made. Please have your thorough medical history available so your surgeon can consider any medical conditions that may increase surgical risks. A discussion and description of your procedure will be detailed and will include information on the risks involved. After the final decision to proceed is made, the surgeon will then discuss the technique indicated, the type of anesthesia, the surgical facility, any additional surgery, and the costs. It’s common to experience some swelling and bruising in the ten-day period following surgery. This condition can include the cheek and eye area as well as forehead. You will be instructed to keep your head elevated in order to reduce swelling. Cold compresses may further reduce swelling. It’s important to note that as the incisions heal, you may experience some numbness as well as itching, both of which will gradually disappear with time. The sutures are usually removed within seven to ten days following surgery. If bandages have been used, they are removed in one to three days. It is strongly advised to follow the instructions of your surgeon on resuming normal activities. For many patients, the recovery time does not exceed two weeks, but patients may still be urged to avoid strenuous activities for longer periods. Any prolonged bruising can be camouflaged by wearing make-up. Not infrequently, a brow lift is performed in conjunction with Blepharoplasty (an eyelid tuck) or facelift to gain the maximum result. In general facial plastic surgery allows patients to correct many facial flaws and signs of premature aging that can undermine self-confidence. By undergoing a forehead lift procedure, you can enhance your appearance and boost your self-esteem. Every year, more than 100,000 men and women choose eyelid surgery to improve the way they look. Technically known as Blepharoplasty, this procedure corrects droopy eyelids and puffy bags below your eyes – features that can make you look older and also impair your vision. Eyelid surgery cannot alter dark circles, fine lines and wrinkles around the eyes, nor can it change sagging eyebrows. Instead, eyelid surgery can remove puffiness and bags under the eyes that make you look worn and tired. Though blepharoplasty is often performed as a single procedure, your surgeon may also suggest a brow lift, facelift, or skin resurfacing procedure to achieve the best results. Before you elect to have surgery, know your expectations and share them with your surgeon. The best candidates are healthy men and women who are psychologically stable and realistic about their results. During the pre-surgical consultation, your surgeon will explain what you can expect from blepharoplasty and take a complete medical history. It is important to inform your doctor of any allergies you may have, vitamins and medication you are taking, and if you smoke or have a history of dry eyes. You can expect an open and honest exchange with Dr. Cohen, which will establish the basis for a successful outcome. It is also necessary to provide applicable information from your ophthalmologist or a copy of a recent eye exam. If you wear glasses or contact lenses, please make sure to bring them with you. You and Dr. Cohen should discuss your goals and expectations of surgery. You’ll both need to clarify whether the surgery will be performed on all four eyelids or just the upper or lower portions, whether skin as well as fat will be removed, and whether any additional surgery is recommended for the results you are looking to obtain. After you and your surgeon make a mutual decision, the technique indicated for your individual surgery will be discussed. The type of anesthesia, the surgical facility, any supportive surgery, and the risks and costs inherent in the procedure will be explained. Don’t hesitate to ask your doctor any questions you may have related to your surgery. Dr. Cohen will give you specific instructions on pre-surgery preparation, which includes instructions on eating, drinking, smoking, and consumption of certain vitamins and medications. Following these guidelines will make your surgery a more pleasant experience. It is also recommended to arrange for someone to drive you home after the surgery, and to help take care of you as needed. Your eyelid surgery will be performed in Dr. Cohen’s surgery center and is done on an outpatient basis; rarely does it require an extended stay. The surgical procedure is a relatively short one and takes about two hours, depending on whether the upper and/or lower lids are being done. In a typical upper eyelid procedure, the surgeon first marks the individual lines and creases of the lids in order to keep the scars as invisible as possible along these natural folds. The incision is made, and excess fat, muscle, and loose skin are removed. Fine sutures are used to close the incisions, thereby minimizing the visibility of any scar. In lower eyelid surgery, Dr. Cohen will decide which approach is appropriate. He may recommend that an incision be made, in an inconspicuous site, along the lash line and smile creases of the lower lid. Excess fat, muscle, and skin are then trimmed away before the incision is closed with fine sutures. Eyelid puffiness caused primarily by excess fat may be corrected by a transconjunctival blepharoplasty. The incision in this case is made inside the lower eyelid, and excess fatty material is either removed or repositioned to achieve normal contour of the lower lid. No visible sutures are required. After the surgery has been completed, your surgeon may lubricate your eyes with ointment to prevent dryness. Your eyelids might also feel tight and somewhat uncomfortable as the anesthesia wears off so medication will be prescribed. A certain degree of swelling and bruising is normal. Cold compresses, as well as head elevation when lying down, will enhance healing and relieve discomfort. For a week and a half following blepharoplasty, you must clean the eye area (the eyes may feel sticky, dry, and itchy). Eye drops may be recommended. Dr. Cohen, or his nurse, will also list activities and environments to avoid in the weeks immediately following surgery. Permanent stitches will be removed in three to five days after surgery. Once they’re removed, the swelling and discoloration around the eyes will eventually go away, and you’ll begin to look and feel better. You should be able to continue normal reading and television activities within a few days. However, you won’t be able to wear contact lenses for a while longer, and even then they may take a little time to feel comfortable again. Most people are ready to go out in public within a week or so. By then, you should be able to wear makeup to hide any bruising. It’s possible that you may be especially sensitive to light and wind among other irritants for a few weeks, so you should consider wearing sunglasses and a special sun block for your eyelids when you go out. Finally, your surgeon will also make recommendations for keeping your activity levels to a minimum immediately following surgery since it’s especially important to avoid activities that elevate your blood pressure including bending, lifting, and rigorous sports. You may also be advised to avoid alcohol since it is directly related to fluid retention. Your eyelid surgery can offer a refreshed appearance, with a younger, firmer eye area and a happier you. Each year people who are looking to improve the appearance, and in some cases the functionality, of their noses, consult with facial plastic surgeons. Some are miserable with the nose they were born with and others are dissatisfied with the way maturing has altered their nose. However, one thing remains the same: nothing has a finer impact on how someone looks than the nose. Because the nose is the defining characteristic of the face, a small alteration can dramatically refine one’s appearance. If you have wondered how nose surgery, or Rhinoplasty, could refine your looks, self-image, or health, it is essential to know how Rhinoplasty is performed and the steps of the recovery process. A good result of facial plastic surgery is obtained through excellent rapport between patient and surgeon. Trust is an important factor and should be based on realistic expectations, exacting medical expertise, and develops in the consulting stages before surgery. Your facial plastic surgeon will be able to answer any questions about your particular needs. Excellent health and realistic expectations are prerequisites with facial plastic surgery. Since there is no absolute in rhinoplasty, the objective is to improve the nose aesthetically, allowing it to conform well to your other facial features. If the end-purpose is to improve the function of the nose, the surgeon may trim the septum or adjust the turbinates for better nasal performance and unobstructed breathing. Many factors should be considered before surgery, specifically, skin type, ethnic background, and age. Prior to the nose alteration, a young patient must reach full growth, usually around sixteen. Ask your surgeon if you are a candidate for additional surgery to enhance the appearance of your face. At times, a more fit balance of features can be achieved with a chin augmentation, performed at the same time as the nasal surgery. The most important decision, regarding rhinoplasty, is your choice of a qualified facial plastic surgeon. At the consultation, Dr. Cohen will thoroughly examine your nose both externally and internally, to make the best decision regarding your rhinoplasty. It is of great importance to verbalize your best expectations and to realize what rhinoplasty can and cannot do for you. You can count on a thorough explanation of Dr. Cohen’s expectation’s and the risks involved in nasal surgery. Dr. Cohen’s nurse will then usually take photographs of you and, on a subsequent visit, Dr. Cohen will discuss your options. Your surgeon will also explain how the nasal structures, including bone and cartilage, can be sculpted to reshape the nose and enhance your desired results. Once your medical history has been carefully evaluated, your surgeon will provide information regarding anesthesia, the surgery center, and his office manager will discuss the costs for the procedure. After surgery, a splint will be placed on your nose for protection and to immobilize and protect your nose for at least seven days. There may be temporary packing inside your nose, which is usually removed the morning following the surgery. You may feel puffiness in your face, especially the first day after surgery, and medication will be provided to ease the discomfort. Bruising and minor swelling in the eye area can occur following the surgery. Cold compresses are recommended to reduce the bruising and discomfort and you will be instructed by the recovery room staff as to their use. Nasal dressings and splints are usually removed six or seven days after surgery. It is extremely important to abide by Dr.Cohen’s directions, especially with instructions to elevate your head after surgery. Activities will be restricted in the weeks after the procedure. Post surgical instructions from Dr. Cohen and his staff will be provided. Your follow up appointment with Dr. Cohen is critical to monitor healing. Your healing is our priority, so you’ll be encouraged to notify your surgeon of anything that you may think is unusual after surgery. A well-defined cheek and chin help give symmetry to the face and can make a big difference in one’s profile. When people look in the mirror, they tend to focus on the fine wrinkling of the skin or the size and shape of their nose. Even though few examine their cheeks and chins with the same discriminating eye, having a “weak chin” or “flat cheeks” can alter the aesthetics of one’s appearance. Plastic surgeons who specialize in rhinoplasty, or surgery of the nose, often suggest that changes in cheek, or chin size and shape may actually enhance your face as much as the nasal surgery. It is not uncommon for a facial plastic surgeon to recommend cheek or chin surgery in addition to nasal surgery when he sees that cheek or chin augmentation is necessary to achieve facial balance. For the most part, a cheek or chin implant is a relatively straightforward procedure that can make a huge difference. As with all elective procedures, the key is to understand all aspects of the cheek or chin implant surgery. Inserting an cheek or chin implant can easily help you attain a pleasing profile. The results are usually greater facial symmetry and an increase in self-assurance. Another option for facial improvement through chin surgery is sub mental liposuction. In this procedure excess fatty tissue is removed to redefine the chin, or neckline. Dr. Cohen will evaluate the elasticity of your skin in deciding on the most appropriate procedure for you. A consultation can help you select the type of surgery that addresses your concerns. During the consultation, expect your plastic surgeon to thoroughly examine your chin and jaw to pinpoint problems. In some cases, the cosmetic surgeon will recommend chin surgery as a supplement to rhinoplasty because a small chin can make the nose appear larger. Your surgeon will discuss other factors that could influence the results of your surgery such as age, skin type, and attitudes toward surgery. The surgical procedure will be described in detail along with reasonable projections. If you make the decision to proceed with surgery, your surgeon will describe the technique indicated, the type of anesthesia to be used, the surgical facility, and any additional surgery that would enhance your results, as well as risks and costs. To augment the chin, the surgeon begins by making an incision either in the natural crease line just under the chin or inside the mouth, where the gum and lower lip meet. By gently stretching this tissue, the surgeon creates a space where an implant can be inserted. The implant is made of synthetic material that feels much like natural tissue normally found in the chin. With an available array of sizes and shapes, custom fitting of the implant can be exactly matched to the configurations of the patient’s face. After implantation, the surgeon closes the incision with fine sutures. No scarring is visible when the incision is made inside the mouth. If the incision is made under the chin, the scar is usually imperceptible. In the case of a cheek implant, the incision is made inside the mouth and the implant is stabilized over the cheekbone. Immediately following your cheek / chin implant surgery, the surgeon usually applies a dressing that will remain in place for two to three days. It is common to experience some tenderness. Post-operative discomfort can be alleviated with prescribed medications. Chewing is limited after chin surgery, and a liquid and soft food diet may be required for a few days after surgery. Many patients feel a stretched, tight sensation after the surgery, but this gradually disappears within a week. Most visible swelling will diminish after approximately two weeks, at which time you can freely enjoy the results of your procedure. Rigorous activity may be strictly prohibited for the first few weeks after surgery; however, normal activity can usually continue after approximately ten days. Otoplasty, or surgery of the ear, is performed after the ears have reached full size, which is usually around five to six years of age. Even if the ears are only minimally distorted, this condition can lead to a lifetime of self-consciousness. Adults may also benefit from this surgery, which improves self-esteem and facial appearance with relative ease. Ears can now be “pinned back”, reshaped, reduced, or made more symmetrical. Often, adults choose this surgery in combination with other facial plastic procedures. For a successful otoplasty, it is important for the ears to be in proportion to the size and shape of the face and head. When considering otoplasty, parents must be confident that they have their child’s best interests at heart. A positive attitude toward the surgery is an essential element for all facial plastic surgery, but it is especially crucial when the patient is a child or adolescent. Adult candidates for otoplasty need to understand that the firmer cartilage of fully developed ears does not provide the same molding capacity as in children. A consultation with your surgeon can help parents decide the procedure for their child, not only aesthetically, but also psychologically and physically. Timing is also something to consider. Having ear surgery at a young age is highly desirable in two respects: the cartilage is extremely pliable, thereby permitting greater ease of shaping; and secondly, the child will experience psychological benefits from the cosmetic improvement. At the time of the consultation, your surgeon will examine the structure of the ears and discuss the best available options for correcting the problems. Even if only one ear needs “pinning back,” surgery will probably be recommended on both ears to achieve the most natural, balanced appearance. After the surgeon and patient decide to proceed with otoplasty, your surgeon will discuss the details of the procedure. A thorough medical history will be expected from your surgeon. Then the type of anesthesia required, surgical facility, and costs will be explained. Typically, your surgeon will suggest a general anesthesia for young patients and a local anesthetic mixed with a mild sedative for older children and adults. Under normal circumstances, otoplasty takes about two hours to perform. Surgery starts with an incision just behind the ear, in the natural fold where the ear is joined to the head. The surgeon will then remove the necessary amounts of cartilage and skin required to achieve the right effect. In some cases, the surgeon will trim the cartilage, shaping it into a more desirable form and then pin the cartilage back with permanent sutures to secure the cartilage. Soft dressings applied to the ears should remain for a few days. It’s common for patients to experience a certain amount of mild discomfort. Sleep patterns may also be disrupted for a week or so for side sleepers, since you won’t be able to apply any pressure on the ear areas. Headbands might be recommended to hold the ears in the desired position up to two weeks after the surgery. The risks are minimal. There will be a thin white scar in the natural crease behind the ear after healing. Due to its location, visibility is insignificant. However, anything unusual should be immediately reported to the surgeon. “Fun in the sun” becomes not so fun once you see the effects it has on your skin. Premature wrinkling is more common now than ever before. Many men and women seek facial plastic surgery to reverse the effects of sun-damaged skin. 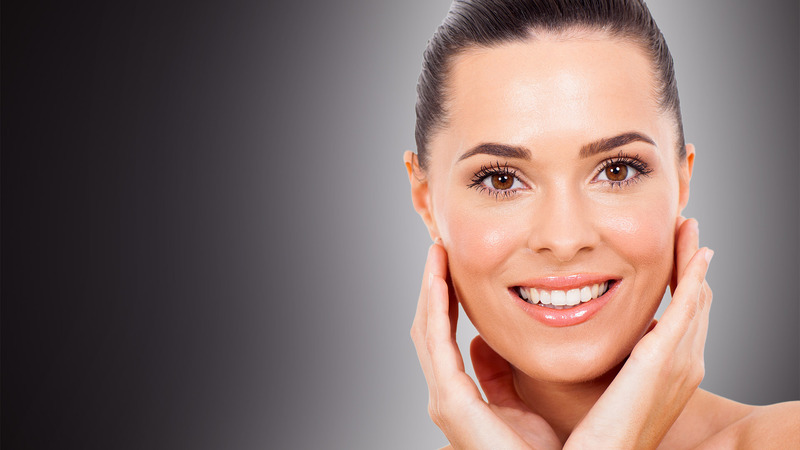 Laser and chemical peeling can improve the look of your skin and your self-esteem. Skin resurfacing can also improve acne scars and remove pre-cancerous skin growths called keratoses. Successful facial plastic surgery is a result of trust, realistic expectations, and exacting medical expertise. If you have any questions or concerns, they should always be addressed to your surgeon immediately. The most basic element for any facial plastic surgery is good health. As mentioned before, it’s extremely important that the expectations of surgery and of the surgeon are realistic. Although skin-resurfacing procedures cannot produce perfect skin, the main focus is to improve the appearance of the skin as much as possible. Skin type and color, ethnic background, and age are important factors that should be discussed with your surgeon. You may need to have a specialized evaluation if you have dark skin or conditions such as allergies, previous burns, a history of poor scars, or radiation exposure, to properly determine if you are a candidate for these procedures. You must also inform your surgeon if you have any episodes of cold sores and blisters around the mouth. 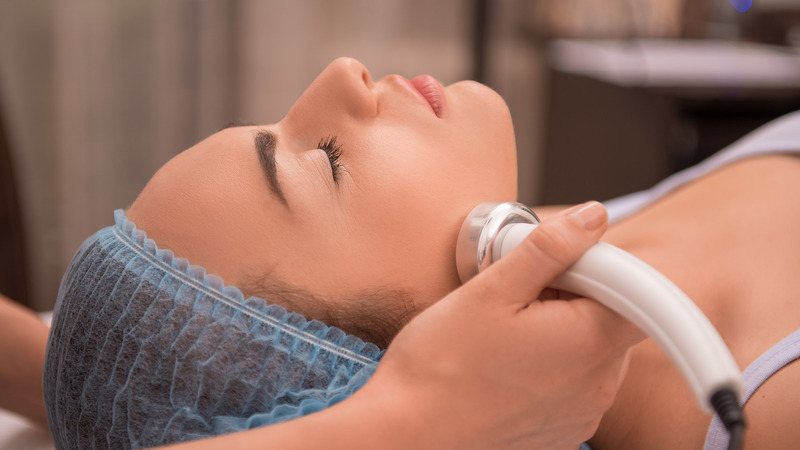 Before deciding on a chemical peel or a laser resurfacing procedure, your facial plastic surgeon may recommend a skin care regimen before the procedure. Also, more than one procedure may be necessary if you have existing damage from aging or injury. Expect your surgeon to examine your skin in order to assess factors that could affect the outcome of the surgery. Only then can the surgeon determine the proper procedure for your condition. Attitudes toward surgery, realistic expectations, and risks should also be discussed. This is where the trust and the start to a successful outcome of the surgery begin. After all treatment options are discussed, you will also receive detailed information relating to each procedure. Please remember that neither chemical peels, laser therapy can eliminate sagging skin or stop the aging process. It’s also important for the skin patient to make a commitment to use sun block, as some chemical peels may turn skin color a softer and slightly lighter shade. 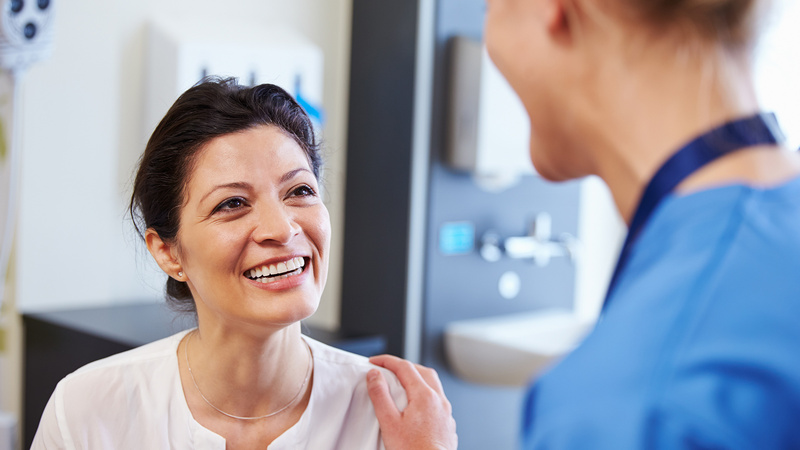 Your surgeon will ask you about your medical history, discuss anesthesia options, the surgical facility being used, other surgical options, and the cost of the procedure. Fraxel Dual is true fractional laser technology for advanced skin resurfacing results. Developed in 2001, by two Fraxel engineers, Fraxel utilizes proprietary “fractional” resurfacing technology. Fractional resurfacing creates thousands of microscopic treatment zones per square centimeter, stimulating repair and rejuvenation by inducing the skin’s natural wound-healing response. Fraxel systems can treat conditions such as fine lines and pigmentation, acne and surgical scars, deeper lines and wrinkles and Actinic Keratosis. Fraxel can treat a wide range of patients, body types and skin types. With over a decade of treatments to date, Fraxel technology is proven science that gets real results. Fraxel DUAL 1550/1927 laser treatment targets aging and sun-damaged skin with microscopic laser columns that penetrate deep into your skin to expedite your body’s remodeling of collagen. And since the laser treats only a fraction of tissue at a time, it leaves the surrounding tissue intact, which promotes very rapid healing. Fraxel DUAL treatment resurfaces your skin by stimulating the growth of new, healthy skin cells from the inside out. The VI Peel will improve the tone, texture and clarity of the skin; reduce or eliminate age spots, freckles, and hyper-pigmentation, including melasma; soften lines and wrinkles; clear acne skin conditions; reduce or eliminate acne scars; and stimulate the production of collagen, for firmer, more youthful skin. Vi Peel also works well in conjunction with lasers, injectables and post procedure. This peel provides dramatic results with virtually no pain, no skin preparation and little downtime. Why wait weeks or months for results? Enjoy radiant, younger looking skin in about a week with the VI Peel. Dermapen™ (collagen stimulating therapy) treatments are now available in our office for facial rejuvenation. It is a relatively new concept recommended for the treatment of: aging skin, fine lines, vertical lip lines, skin tightening, rejuvenation and to minimize the appearance of enlarged pores and scars. The Dermapen™ creates micro-channels in the skin’s epidermis and dermis to allow the delivery of topical nutrients into the skin’s fibroblasts and the release of growth factors. This increased absorption of active ingredients into the skin, stimulates repair and faster resurfacing results. It has been found to be more effective and beneficial than most microdermabrasion and chemical peels for appropriate areas of concern. Results are typically enjoyed after only one treatment but more significant results will occur after several treatments. Most patients feel the treatments are virtually pain-free and there is little to no downtime and most people are able to return to normal daily activities immediately following their treatment. No preparation is necessary prior to treatment. UltraPulse is the most powerful fractional CO2 laser system available. With six times the power of most CO2 lasers, the UltraPulse system is the laser for advanced applications. It delivers speed, versatility, performance and precision supporting a full spectrum of aesthetic and surgical capabilities. The UltraPulse laser allows Dr. Cohen to treat deeper wrinkles and scars, in the operating room setting, to eradicate damaged and discolored tissue, tighten the skin and collagen formation to result. The UltraPulse laser is considered the gold standard of CO2 lasers. In a chemical peel, the patient’s face is thoroughly cleansed to remove oil and to prepare the skin for deep penetration. The surgeon then applies one of several chemicals to the skin. Glycolic acid is the mildest. TCA, trichloroacetic acid, can be used in varying strengths for longer-lasting smoothness. The deepest peel is done with phenol. As the chemical is applied, the epidermis is removed, and the chemical penetrates into the first layer of the dermis. Depending on the depth of the peel recovery can last anywhere from 1-3 weeks. Swelling and flaking is normal and an ointment may be applied to the skin for 7-10 days depending upon the type of peel performed. Any redness and pinkish tone of the skin usually fades within a couple of weeks or less. A soft diet, avoidance of extremes in temperature and of strenuous activities is usually recommended. It is absolutely imperative that you follow the post-operative instructions of your surgeon completely to the letter. You must notify your surgeon immediately, if you experience any increase in redness or itching in the days after your surgery. One to two weeks after surgery, new skin will emerge that is pinkish, finer, and with improved texture. Follow-up care suggests wearing sun block to protect the skin from further damage. We also offer other less invasive skin rejuvenation treatments including the use of retinoids and other mild anti-aging remedies. A fat transfer, or fat transplantation, is a surgical procedure which can be done along with other surgeries or as an in-office procedure. It is performed by removing the fat from one area of the body and placing it (or transplanting it) to another area of the body. For most patients, fat is normally taken from the hip or abdomen. A small area of fat that is roughly the size of the palm of your hand is anesthetized. Using a cannula, a small amount of fat is removed into several small syringes and prepared for transplant. This procedure is most often performed using tumescent anesthesia, a form of local anesthesia, which is commonly used for liposuction. Most patients experience nothing more than mild discomfort during this procedure. This discomfort typically lasts for only a few minutes and is well tolerated by nearly all. Smile lines, lips, corners of the mouth, and frown lines are the areas most commonly treated using fat transfer. Since the fat must be translated deep under the skin, it’s not recommended for fine lines and fine wrinkles. Therefore, it’s only deeper wrinkles on the face that should be treated. It can also be used as a means of “cheek augmentation” and can plump areas of the face that have lost fat. Patients may realize the benefits of fat transplantation for six months or longer. Touch-up procedures may be needed to maintain optimal results. It’s common for some swelling to be seen in the area in which the fat is injected. The swelling may last three days or longer and is usually most pronounced in treating lips. There may be some discomfort felt in the area in which the fat is taken from. This discomfort is typically mild and easily relieved with medication, which your surgeon can prescribe to you. It is also advised that you refrain from strenuous activities for at least one week after fat transfer. If areas of the face are treated, you must limit talking and chewing to a minimum for one week. The office receives phone requests daily for information regarding the latest procedures and cosmetic options. Botox Cosmetic and Dysport are certainly one of the most requested. It can dramatically reduce your toughest wrinkle within about a week. Over time, the muscles above and between the eyebrows repeatedly contract and tighten, causing wrinkles. But, with these injections, the signal from the nerve to the muscles weakens and, ultimately, results in a reduction of muscle activity and temporarily prevents contraction of the muscles that cause frown lines. A Botox Cosmetic treatment is a simple, non-surgical procedure that smooths the deep, persistent lines between your brows that developed over time. One 10-minute treatment – a few tiny injections – relaxes the muscle that caused those lines to form and keeps them relaxed for up to 4 months. Botox Cosmetic is FDA approved and does not require any allergy testing. The results are dramatic and apparent within days. Botox Cosmetic will not radically change your appearance or make you look “like you’ve had work done.” Following the procedure, you may apply make-up and return to your office or normal activities with minimal restrictions – the area should not be massaged, and patients are advised against reclining, for a few hours. If you suffer from hyperhidrosis, also known as excessive sweating, you may have searched for different solutions to your problem. One possible solution that many people do not know about is Botox injections, which you can receive at our office. Although Botox is typically thought of as a cosmetic procedure for aesthetic purposes, it can also be used to decrease sweat production to the hands, feet, and armpits. The use of Botox has been approved by the FDA to treat hyperhidrosis, so you can rest assured that it is safe and effective. By modulating the production of sweat, Botox injections may provide you with relief from your ailment. Juvederm® is the first smooth consistency injectable gel formulation indicated for the correction of moderate to severe facial wrinkles and folds, around the nose and mouth. It is the only hyaluronic acid dermal filler approved by the FDA to last up to one year from initial treatment. Juvederm Voluma™ XC is an injectable gel is the first and only filler FDA-approved for deep injection in the cheek area to correct age-related volume loss. It gives you a subtle lift, helping to restore contour and a more youthful profile, for up to 2 years, in patients over the age of 21. It is different than Juvederm® XC and works on a different area of the face. JUVEDERM VOLUMA™ XC, however, adds volume to the cheek area. Please ask Dr. Cohen which product is suitable for your needs. Restylane is a synthetic stabilized hyaluronic acid (non-animal based) and has experienced significant international publicity and usage. It has been used safely by physicians since 1996 and we are pleased that the FDA has now approved of the use of Restylane for soft tissue augmentation. It is a safe and natural cosmetic dermal filler that restores both volume and fullness to the skin to correct moderate to severe facial wrinkles and folds, such as those resulting from smiling. Studies have shown that the average treatment results last six months or even longer with individual results varying. Evidence shows that having a touch-up treatment before the product has fully dissipated will enhance the lasting effect. Dr. Cohen may discuss the use of a local anesthetic injection, similar to one used in a dental office, and injected prior to your treatment with Restylane. For more information and to schedule an appointment please contact the office at (310) 275-5252. A brochure is also available through our office. If you are looking for ways to improve your overall appearance, especially the signs of aging, there are options which are less-invasive than surgery. For example, if you are experiencing discomfort with facial wrinkles, folds, or a lack of volume which is commonly caused by aging, you may want to consider a non-surgical dermal filler like Belotero. You may be a candidate for Belotero filler injections if you are looking for temporary fix to wrinkles and other facial issues. Although you can continue to come in for treatment and experience ongoing results, Belotero does not produce permanent results. This allows you to decide whether or not you would like to continue with the injections in the future, based on the outcome you experience. One of the most natural signs of aging is hollowed-out or gaunt areas which are a result of lost collagen in the skin over time. The loss of bone and atrophied facial fat have a direct impact on the appearance of the face, something you might wish to address with injectable fillers. At Dr. Cohen's office you can receive one of the most unique injectable dermal fillers, Sculptra, which replaces lost volume to your entire face. Injections of Sculptra typically last for up to two years, however you must receive three sessions about four to six weeks apart. Unlike other injectable fillers, Sculptra does not work immediately, but it stimulates the production of collagen over time. The time-tested chemicals work to provide a gradual, natural increase in facial volume and thickness, giving you a more youthful appearance. As such, the effects of the injections are more subtle and this is why the injections are not completed in one session. Your skin then starts to produce its own natural collagen, which is how the results can last for such a long period of time. If you are looking for a non-surgical, injectable form of treatment to address areas of your face which have lost volume and begun to sag and wrinkle, Radiesse may be right for you. When you come into Dr. Cohen's office, you can rely on the doctor and staff to provide you with top-quality service and help you to feel relaxed. Unlike most other injectables, Radiesse is not made of collagen and can actually deliver results for up to a year in many cases. Radiesse is made up of an aqueous gel carrier that is mixed with other particles. The injections are virtually painless, as there is a numbing agent which has been added into the solution to make the experience more comfortable. Platelet Rich Plasma, also known as PRP, is an advanced form of therapy that is used by Dr. Cohen to improve signs of aging and the overall appearance of your face. PRP contains a variety of growth factors which help the body to naturally regenerate tissue and heal. Platelet Rich Plasma injections can be used to restore tissue volume and smooth out wrinkles in the face. PRP is a byproduct of your blood that is rich in platelets which have healing qualities. With new technology, it helps your body to heal at an accelerated rate. In the natural healing process, your body uses a number of different cell types (including platelets) to heal a wound. Platelets release growth factors which help from blood clotting and regenerating tissue. With the help of PRP, additional stem cells can produce more new tissue, speeding up the process. This same concept applies to producing new tissue which can help to treat signs of aging in the face, such as wrinkles and loss of volume. Ms. Morgan’s training background as a Certified Surgical Assistant sets her apart from all other office managers and patient consultants. She was accepted into the Advanced Leadership Program at UCLA in 2006. While completing her education as a Certified Surgical Assistant, she specialized in Spinal-Neuro and Orthopedics, and later Facial Plastic Surgery. Being offered the invaluable opportunity to join Dr. Cohen’s practice, she advanced her career by accepting the position as office manager. 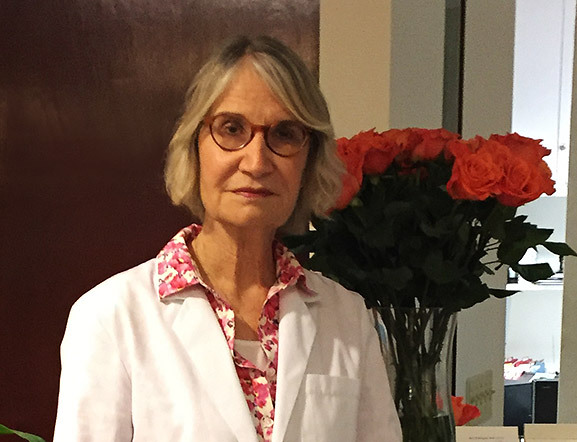 Ms. Henry has been a registered nurse and has offered superior medical care to Dr. Cohen's patients for over 25 years. 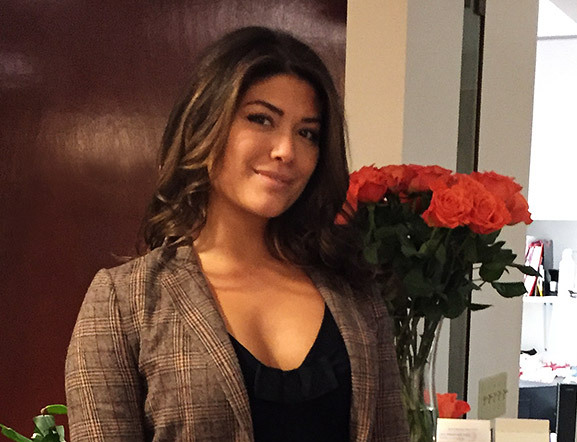 She received her education in Montreal and shortly thereafter relocated to Beverly Hills where she began her foundation as an expert provider in the aesthetic surgery field. She is certified and has advanced training with the Reliant (TM) Fraxel laser. Her patients have found greater than expected results in the improvement of their fine lines, pigmentation imperfections and the generalized color and texture of their skin. Trista Shakeridge RN CANS is a seasoned cosmetic injector with over 12 years of injection and laser experience. She began her nursing career working for a well-known in facial plastic surgeon where she assisted with pre/post-operative clients and in the OR. Her goal was to be involved in the non-surgical aspect of Aesthetics so the transition to cosmetic Injectables & lasers was seamless. She believes that Non- surgical approach to self-improvement is the building block for beauty and can deliver excellent results to our clients. 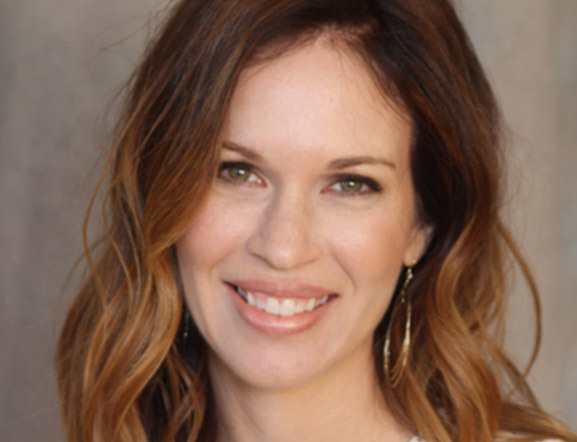 Trista’s expertise and years of hands on experience in aesthetics allow her to provide naturally pleasing results to clients without the “over done” look. Our staff is always ready to answer any questions you might have. Drop us a note and we will get back you as soon as possible. Our fastest response days are Mondays or Fridays when are not in surgery. Alfred Cohen, M.D. , F.A.C.S.